Love Chocolate Chips but need something else to satisfy your sweet tooth? Give Blueberry Muffin a try! More vigorous and weather resistant than other ajugas. 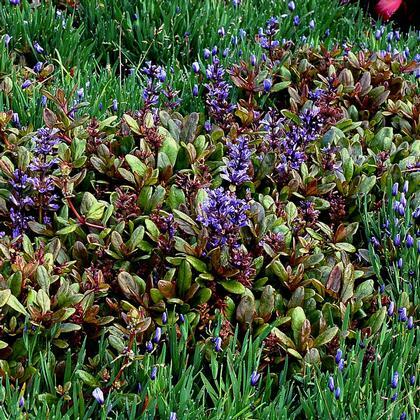 Thick leaves start out dark and age to a lovely green that compliments deep blue flowers.